Today’s vehicles are the most reliable ever built, but you still might find yourself in need of roadside assistance. In most cases, your need for assistance will arise from leaving your car lights on and the battery going dead, running over a sharp object that punctures a tire, running out of gas, your car overheating, or getting stuck and needing help getting out. Thankfully, there are several things you can do to help yourself, especially if you break down in a remote area and are far from help. 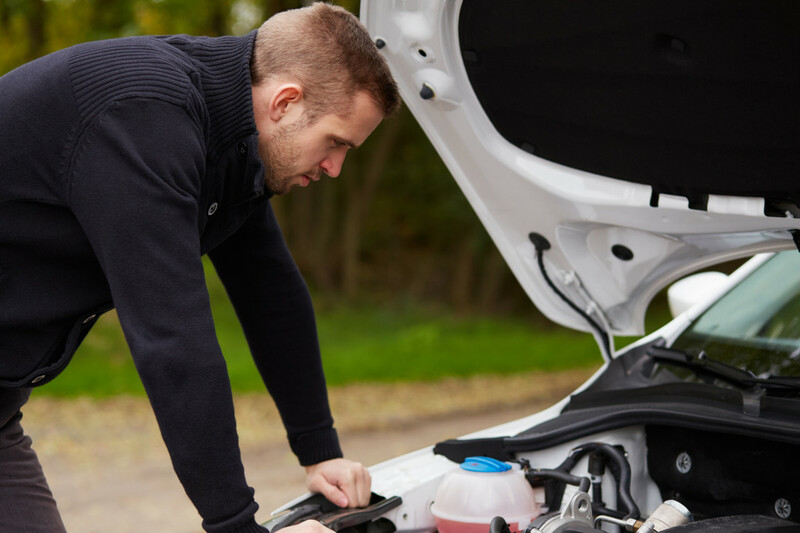 The best way to provide your own roadside assistance is to have a ready supply of emergency repair items that will get you back on the road fast. Among the most important are a flashlight, jumper cables for a dead battery, a can of fix-a-flat for a punctured tire, a car jack and lug wrench, a good spare tire, a small air compressor, kitty litter, spare oil and antifreeze, and roadside flares. You also might opt for one or two universal radiator hoses, a couple of hose clamps, and some duct tape. With jumper cables, you can get a quick jump-start from another vehicle. You also might opt for one of the new generation of jump-starters, which hold enough of a charge to get your car started when the battery is dead. A can of fix-a-flat can repair a slow leak, or slow a bad leak long enough to get you to a garage, while your portable air compressor ensures you can keep your tire inflated at safe levels, even if you need to top off a couple times. If your tire is badly damaged, you’ll need a good jack, lug wrench, and spare tire, to do a quick roadside repair. If you are just plain stuck on ice or another slippery surface, packing some kitty litter around your drive wheels and along your general path out can get you back on the road in many situations. If your car is overheating, you might be losing coolant through one of your hoses. If you have a small leak, you can use duct tape to temporarily patch it long enough to get home, and a spare hose or clamp can provide a long-term cure. Your spare oil and coolant will top off your engine and cooling system, if needed. When it comes to roadside assistance, you’ll need to ensure your safety, and the safety of other motorists, first. Flares and hazard triangles will alert drivers when you have to pull off on the roadside, and a fire extinguisher can put out an engine fire. No matter how well you prepare, sometimes, you still might find yourself in need of emergency roadside assistance. That’s why your Valley Chevy dealers include roadside assistance with standard vehicle warranty protection when you buy your next new car from them.